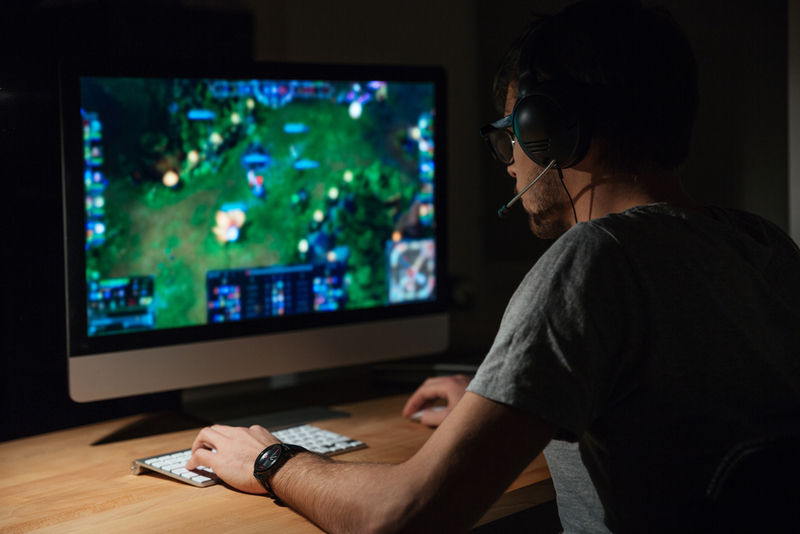 Whether you’re new to the PC gaming world or a seasoned gamer, there are a few tools that can elevate your gaming experience. More companies are listening to what consumers want and are supplying options to their products that are conducive to quality gametime. Viper Systems wants every gamer to have the most fun while playing, so we compiled a list of items that will help you get the most out of your gametime. Sennheiser HD 200 Pro– the $70 price point is pretty reasonable considering the high quality sound and comfort these headphones provide. The cable is single sided to help prevent tangles. SteelSeries Arctis 7– a little more expensive, but lag-free, wireless and surround sound. What more could you want? Razer Huntsman Elite– It’s $200, but it probably the fastest keyboard on the market right now. With programmable keys, opto-mechanical switches, and optical sensors, it’s worth it. Plus, it looks really cool. Cooler Master MasterSet MS120– The mouse is not the best, but the keyboard stands up to compete with other mem-chamicals at a price point of only around $70. If you’re looking for a solid board that’s affordable, this is the one. Respawn 200– racing style, with a recline of 130 degrees and decent quality for the price point of just over $200, this is the chair to get if you’re hoping to score a comfortable chair for a reasonable price. OM5 Work– Mid-range in price between $400 on sale to almost $600 retail, this chair does take some sitting in to get accustomed to. It’s designed to move with you and adjust automatically, which allows you to continue playing without stopping to adjust your chair. Bonus: the colors are customizable and it comes standard without arms. If you want to add them, you can. Steelseries Rival 700– with tactile alerts, an optical sensor, oled display and modular cover, it’s worth the $100. ASUS Rog Spatha– customizable, wired and wireless capability, and built in flash for memory storage of your profiles. BenQ- EX3501R– HDR monitor supplies the best graphics rendering. Retail is around $850. Asus MG248Q -144hz, adaptive sync, and 1ms response time make this monitor worth the buy even with the lower resolution. At $270, it’s a solid budget purchase. Viper knows that every gamer needs these products, but we all have different budgets and needs. We tried to include a variety in this list to show appreciation to everyone, just like we do with our gaming systems. If you’re ever in need of a totally customized and upgradable system, check out our products. We value every customer and will work with them to build a gaming system that provides everything they need.